RI's Early Intervention Program promotes the growth and development of infants and toddlers who have a developmental disability or delay in one or more areas. Developmental disabilities or delays can affect a child’s speech, physical ability, or social skills. Children referred to the Early Intervention Program receive a comprehensive developmental evaluation to determine if they are eligible. One of the goals of Early Intervention is to provide support to families so their children can develop to their fullest potential. Services are provided in places where children usually play or take part in daily activities. This team of educators, health care professionals and social workers provides services in the home and community for babies and toddlers with, or at risk of, physical, social/emotional, or language delays. Meeting Street Compassionately and innovatively empowers children and their families to thrive by fostering the development of the whole child. Easter Seals provides exceptional services to ensure that all people with disabilities or special needs and their families have equal opportunities to live, learn, work and play in their communities. According to information provided by the State, Rhode Island operates its entire Medicaid program under a single section 1115 demonstration. This demonstration includes the following programs: RIte Care, RIte Share, Extended Family Planning, Rhody Health Partners, Connect Care Choice, Home and Community-Based Services (HCBS), and RIte Smiles, all of which were previously operated under distinct demonstrations. All Medicaid-funded services on the continuum of care � from preventative care in the home and community to care in high-intensity hospital settings to long-term and end-of life-care � are organized, financed, and delivered through the Demonstration. Rhode Island uses the additional flexibility afforded by the waiver to redesign the State�s Medicaid program to provide cost-effective services that will ensure beneficiaries receive the appropriate services in the least restrictive and most appropriate setting. Under this demonstration, Rhode Island can submit three different types of change requests, each of which utilizes a different type of review process. Parent support organization dedicated to promoting the rights, dignity and potential of all individuals with Down syndrome through advocacy, education, public awareness and support. 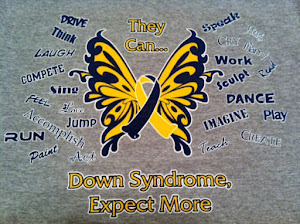 This group was created for the families of children with down syndrome in Southeastern MA and Rhode Island. This is a place to post questions, offer support, and post reminders for events. A statewide, non-profit organization that was built on the need to support and empower families and people with disabilities as they advocate for themselves. PAL’s mission statement reads, "PAL is committed to supporting families, individuals with disabilities and their network of friends in their effort to achieve their own personal dreams and to assume a social role of respect and dignity as a valued member of their community. Rhode Island’s statewide self-advocacy organization for people with developmental disabilities. Advocates for the rights and full participation of all children and adults with intellectual and developmental disabilities. Together with a network of members and affiliated chapters, the Arc seeks to improve systems of supports and services; connect families; inspire communities and influence public policy.